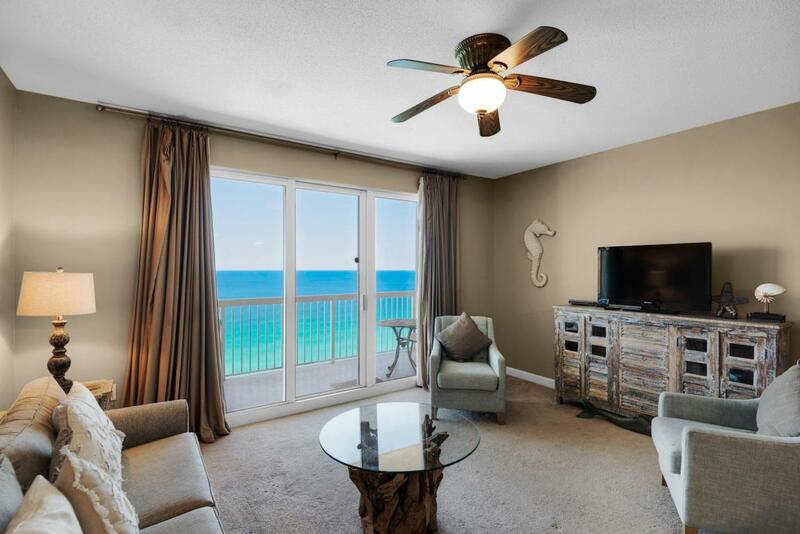 Breathtaking views of the emerald green waters of the Gulf of Mexico will instantly greet you as you walk inside this incredible Gulf-front unit at Seychelles Resort in Panama City Beach. 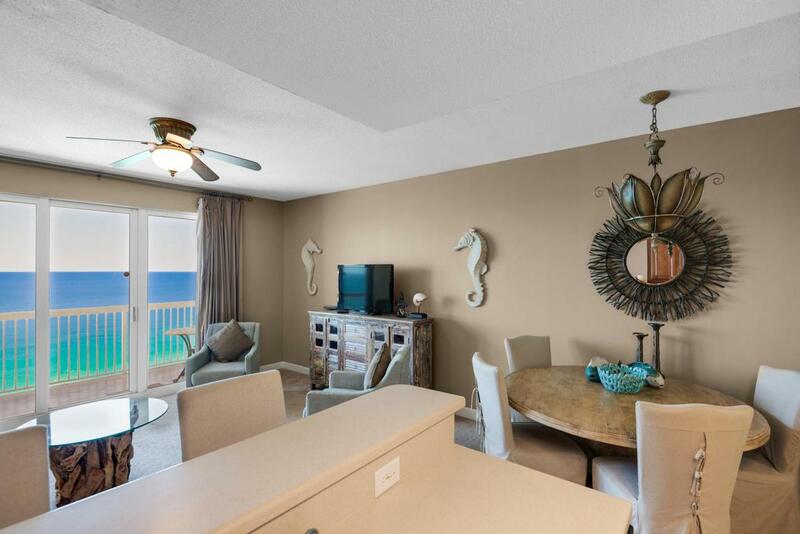 Truly in a league of its own, this Gulf-front retreat has spared no expense in offering a luxurious feel with chic coastal design and decor. 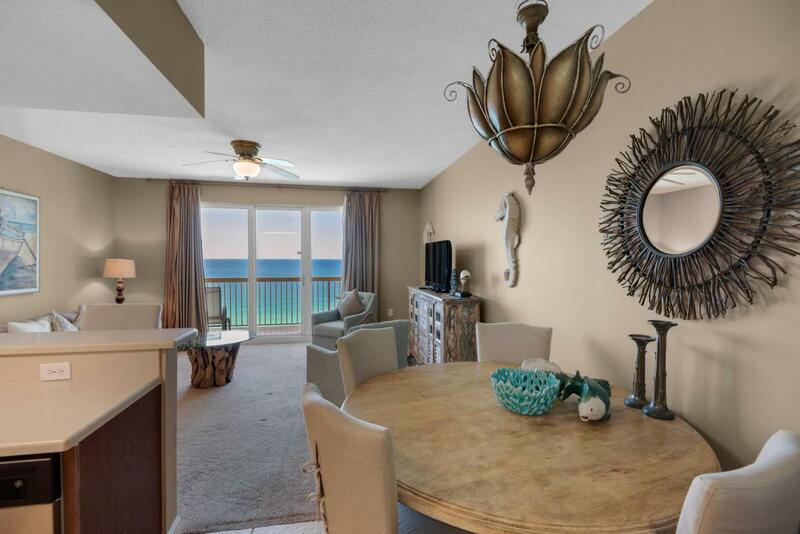 Sweeping Gulf views of the east and west coast of Panama City Beach can be enjoyed from this 18th floor balcony. This unit would make a great investment with gross annual rental income projected at $25,000! Seychelles Resort is located directly next to the local and tourists favorite, Schooners Bar and Grill, and offers owners and guests a wide variety of amenities including two Gulf-front pools, a hot tub, an exercise room,covered/gated parking and an on-site rental company. As an added bonus, this building is one of very few that the HOA fees cover ALL utilities, including electricity! 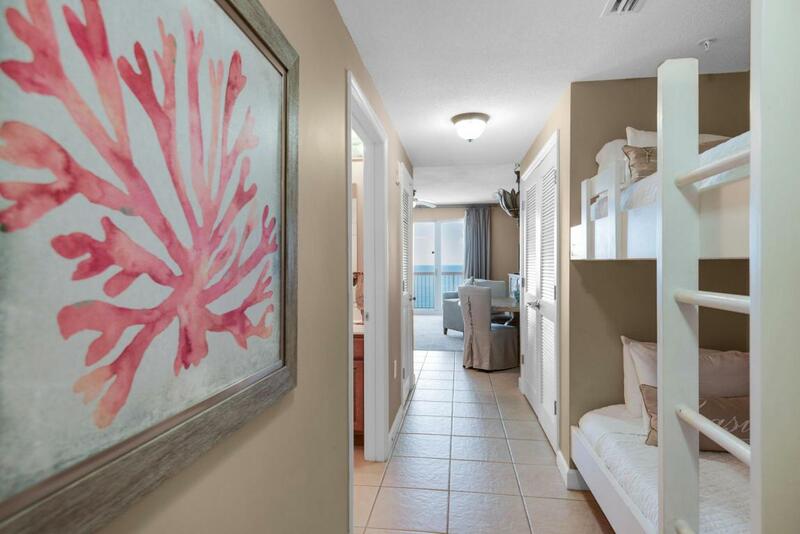 This beautiful unit is being sold fully furnished and turnkey ready. All information and dimensions are believed to be correct, but should be verified by the buyer.